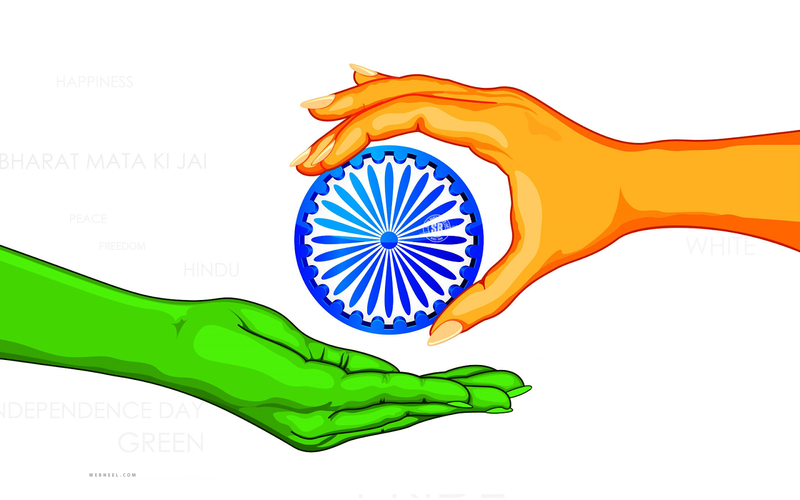 The acharya’s Visishtadvaita is all about unity in diversity. 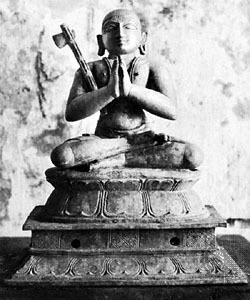 The theistic Vedanta nurtured by Sri Ramanuja is popularly referred to as the Ramanuja Darsana. Indeed it is a ‘seen’, experienced philosophy. The philosophical base for Srivaishnavism is Visishtadvaita (Qualified Monism). According to it, the ‘One Truth’ is called variously as Brahman (Vast), Sat (Self-Existent) and Narayana (Dweller in the Cosmos). Brahman is inseparably united with Chit (sentient) and Achit (non-sentient) which are the other two realities. Traditionally, the Upanishads, the Brahma Sutras (which are aphorisms that systematise the significance of the Upanishads) and the Bhagavad Gita have been commented upon to establish the philosophical view of existence. 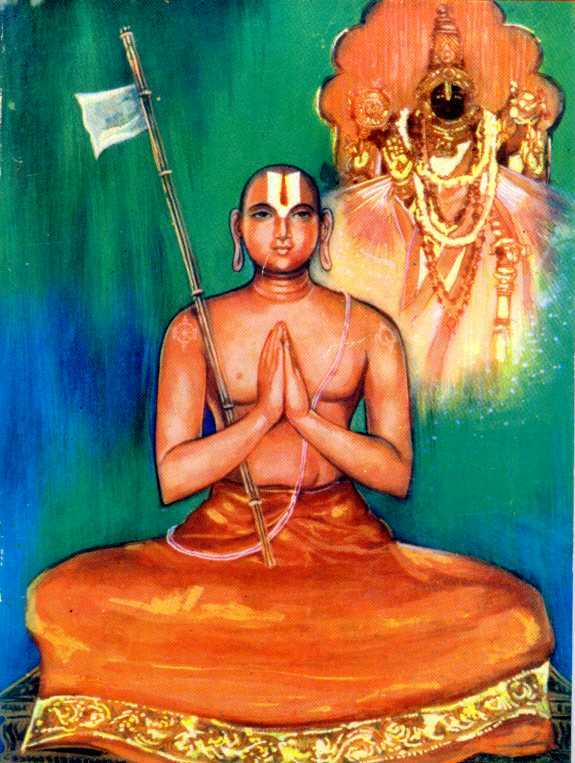 Sri Ramanuja’s first philosophical treatise, Vedartha Sangraha, is a brilliant exposition of some key Upanishadic terms with respect to Visishtadvaita though he claims no originality and speaks of earlier teachers like Dramidacharya and Bodhayana who have shown him the way. Of the three works by the Acharya that comment upon the Brahma Sutras, the Vedanta Sara is for the beginners and the Vedanta Deepa is for students in the advanced level. The Sri Bhashya is a skilful refutation of Advaita where we gaze on with astonishment at the razor-sharp intellect of Sri Ramanuja. But then, though it is firmly woven with the loops of knowledge, the gentle streams of devotion flow through the writing making it soul’s poetry as well. Sri Bhashya caught the total attention of Swami Vivekananda when he read it for the first time. Being a Sanskrit scholar himself and who was in full command of Panini’s Ashtadhyayi, Vivekananda urged his disciple, Alasinga Perumal to get the work translated into English. Accordingly, the Brahmavadin Series published an English translation of the Sri Bhashya by Prof. Rangacharya and Sri Varadaraja Iyengar in 1899. Soon after, George Thibaut published his translation. Hard work through several decades gathering the needed material had preceded the writing of Sri Bhashya. 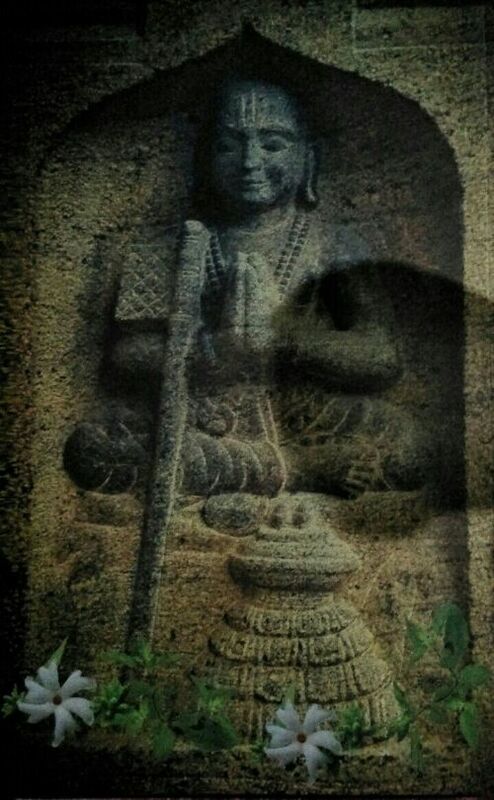 The most important incident was getting Bodhayana’s Vritti from the Pundits of Kashmir in charge of the Sarada Peeta. The work itself is often very difficult to follow for the common reader, but Sri Ramanuja has sprinkled references from ancient Indian literature and legends and has used meaningful similes that make the work highly approachable. As we progress, we get to know of the Brahman who has the qualities of consciousness (chit) and bliss (Ananda). “As the well is not the cause of the production of rain water, but only serves to manifest water which already exists--for whence should that originate which is not?--thus knowledge and the other attributes of the Self are only manifested through the deferment of evil qualities; they are not produced, for they are eternal.”. If the Sri Bhashya is a “world-view” based on personal experience, Sri Ramanuja’s commentary on the Gita scintillates with Krishna-bhakti. He says that the Supreme has now incarnated to teach the yoga of bhakti as the means to gain moksha. With the entire Mahabharata war in the background, there is never a dull moment in his Gita Bhashya. And the sublime Sanskrit language! 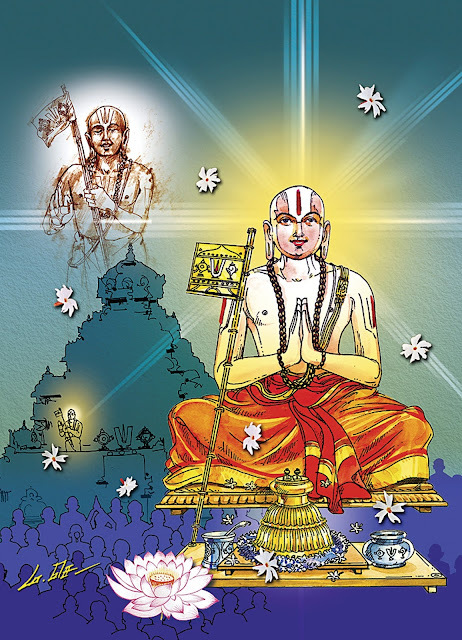 As Swami Tapasyananda rightly says, “it is a common practice with Srivaishnava scholars to reproduce in their discourses the cascading sentences of Ramanuja to fascinate their listeners.” With the charama sloka (XVIII,66) as the initiating mantra in Srivaishnava tradition, the commentary finds a very high place in Ramanuja Darsana. The Gita Bhashya is the Acharya’s gift to us in the art of self-management, to help us plan our life in tune with bhakti yoga, and remain engaged in the art of channelising our religious emotions towards the Supreme. Smt. Dr Prema Nandakumar, is a notable Tamil Scholar and Writer.